I do so love teaching Reiki. It doesn’t matter what level it is, each training has its own special insights, both for the student and for me. My current student is learning how to be a teacher and I feel I have learnt as much from him on this journey as I may have shared with him. Like me, he never set out to be a teacher and was a skeptic at first about distance healing, until he got feedback from clients he was working with. Teaching is not for everyone and often it takes another person to see the talents and inner qualities that we don’t acknowledge in ourselves. For me is was waiting until the children were older and for this student, it was a chance comment by his long time friends that brought him to realize that he has so much more to offer by becoming a Reiki Teacher. 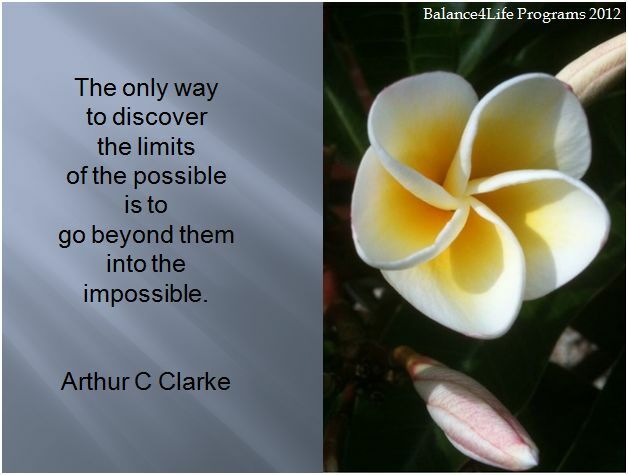 Revisiting each Reiki level brings new insights and each training brings about wonderful changes for all involved. It is as if a little bit more information is being revealed each time. Reiki helps both teacher and students to slow down and relax. The preparation for lessons and sessions is a special time. Meditation and setting the intent to work with Masters present and passed and Guides is a time to create peace both within the room, for students and myself. Reiki energy is always gentle and will go to where it is most needed. I find that once you get yourself or ego “out of the way”, the energy flows with ease. A participant in a Reiki share commented that as she had only done Level 1 and the other participants were all Master Level or Teachers, that she was worried that her energy wasn’t as much. It took some convincing to let her know that the Reiki energy is the same for all of us regardless of what level we have studied to and that it is not our personal energy, but universal energy that we facilitate for the client. A healing session with someone who has taken Level 1 can be profound as the energy doesn’t discriminate. A sojourn at the retreat a short time ago had me revisiting a vision book that I began at the start of the quest to find the property that I saw in a dream. I was showing it to some long time friends. Not surprisingly, if you subscribe to the effectiveness of manifesting through vision books, I realised that many of the things that I had written or drawn down had come to fruition. Creating a vision board, or as in my case – a vision book – is not difficult. All it requires is some time and a few simple steps. I like to work on my vision books at two specific times. Yes, I have a couple – one is specifically for the retreat and the other is more personal but includes the retreat. The New Moon and the Full Moon are my favoured times, but any time that you are comfortable with will suffice. Some pages are for the month and some are for several months and may resemble a business planning document. I use a variety of goal setting techniques in formulating what goes onto the page. My favourite at the moment is the GROW model. Most importantly I put the date on the page. I may divide the page up into various topics or headings and these may be small sketches or pictures or words cut out from a magazine that has taken my fancy. I then set aside some time to meditate before starting. I set the intent that what comes out on the page is just right. During the course of the session, it becomes apparent that there is a synergy between many of the things that appear on the page. Arrows, links, pictures and words appear. For instance in January I had as one of my things on the page was health. I applied the GROW model to this and added in the “R” section a date that I wanted to achieve my goal. Having spent the last few months of 2016 with pneumonia and finding that I was recovering slowly from it, this was a priority, not only from the business point of view, but a vision of improving my health and longevity by focussing on it. I asked myself “What is my Why?” and reflected on what came out of that meditation. Two months later, I revisited the page and realized that I was “on track” for most of what I had written. The areas that I still need to achieve are transferred to the next page and I find that by setting down my thoughts and goals, that I become more accountable to myself. The pages are a mixture of goal setting and dreaming…… for with the retreat there needs to be a certain amount of dreaming and it is in the dreams that I feel that anything can be possible. Some of the actions that I am taking as a result of these will only ever be a dream for me, but may be a future generation’s reality. On these pages I dream of planting trees. In fact on the last visit I planted 3 more. These were grown from seeds of a gum tree that were no bigger than a pin head, yet the parent tree was a magnificent 40 metre high specimen with a trunk that had a girth too big to encircle with my arms. Other trees that I have planted are Oak trees, grown from gathered acorns and nurtured to young seedlings. Yet I will never see these trees in their full majesty – they will remain for me, just a vision of what might become, just as willing gardeners planted the stately oaks in the main streets of the nearby country towns. I may draw other things on the page… it becomes a de facto “To Do” list. Again I find another page that has more to do with trees…. on February’s page was a section on finding a spot for the Casuarina or She Oaks saplings that I have also grown from seed…. They have yet to be planted as I’m searching for the right spot for them and reading about their physical needs as well as the metaphysical significance of them, just as I did when I was searching for the right spot to construct the first labyrinth. Pages in my vision book may include a word picture of an ideal client and I am always pleasantly surprised when the phone rings and he or she introduces themselves and makes an appointment! The reward for keeping these vision books is in going back over them and putting a big tick next to those great big audacious dreams that have been achieved – perhaps they should have a gold star! It is interesting that some of the things put down that weren’t achieved were in fact “pipe dreams” … dreams that if they had been fulfilled would have taken me further away from where I am now and in retrospect, I’m pleased that they haven’t come into fruition. It is also interesting to read back over vision books from years gone by and see that there is a common thread running through all of them…. and to be grateful for the things that have manifested. Depending on your outlook, the rhythm of the seasons brings great abundance…. Each season is a cause for celebration and when observing the cycles of the seasons, there is much to be grateful for. 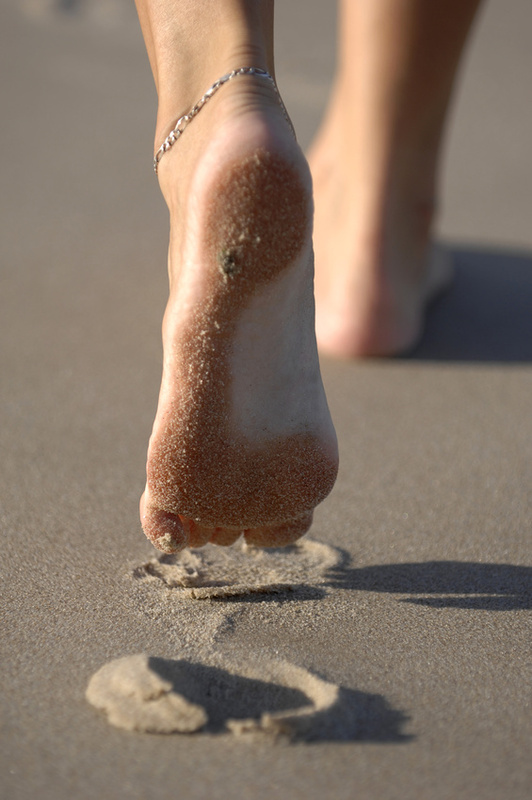 As Melbourne swelters through a summer heat wave, I’ve observed an abundance of short temper. In one instance the power had to be turned off to a residential area to sort out a fault that meant that industrial sized air conditioners couldn’t be run. The heat was a little uncomfortable, but bearable and the power went off just as the sun went down and came back on about two hours later. Candles were found, both ordinary and citronella (to deter the abundant mosquitoes), and a pleasant evening outside conversing by candlelight ensued. Other households did the same and mixed with the sound of chirping cicadas was the low hum of neighbours chatting. The only discord was a neighbour several houses down ranting at the workmen about how old people needed to be kept cool, which brought a wry smile to those grey haired neighbours who were standing close by to her, many of whom had grown up in smaller houses with no airconditioning. Taking time to enjoy the evening stillness, putting aside disharmony and participating fully in life’s adventures is but one path to abundance. When you are still, both internally and externally, you allow the abundance of the universe to flow toward you. Notice your heartbeat and see if you can calibrate it with the rhythm of life. “Be patient, all things move as the timing requires. Quiet your mind, take time to be with yourself with no expectations or push. Do not be anxious for results, but enjoy the gentle journey. In your busy world, do not be rushed or allow the impatience of others to push you into hasty actions. Back in the city, I miss the quiet time of the retreat and find myself getting impatient with not having developed it as quickly so as to have guests to stay in comfort and share the experience. The contrast between country and city couldn’t be greater. Spending time in reflection, quite a lot has already been achieved and lessons learned. There has been the clearing of the flammable weed that covered much of the property and a maintenance schedule to prevent it from taking over again is being developed. My first priority was to build a labyrinth to set the energy for the property and that has been done. Again it needs maintenance on a regular basis as the weather and wildlife tend to blur the outline. The addition of gypsum last September has made digging the clay so much easier! Next project on the list for the labyrinth area is to set up some termite proof seating and shelter. After the trial of garlic (enjoyed by the wildlife), I spent a few months germinating sage seeds and potting them up to plant. A couple of sage plants had been put in last Easter and were left untouched for the rest of the year, so I thought that this would be a suitable plant to grow. A mixture of pot sizes and some stunted seedlings made the trip up to the retreat for an Easter planting. I decided to put them into the centre arms and entrance to create a fragrant addition. Planting out some 20 pots took a little longer than expected, and being able to use the water from the fire trailer to water them in saved carrying 20 litre buckets across the paddock! Rain was forecast and I was confident that they would happily adapt to their new home. Research was done on other rabbit/hare proof herbs and I looked forward to checking up on them at the next visit. On the next visit, most of the plants were pruned to the roots….only the tiniest, most straggly seedlings that I thought wouldn’t survive remained. Coming back to that word…. I planted out a rosemary cutting with strong roots that I put in the plant carrying box at the last minute. 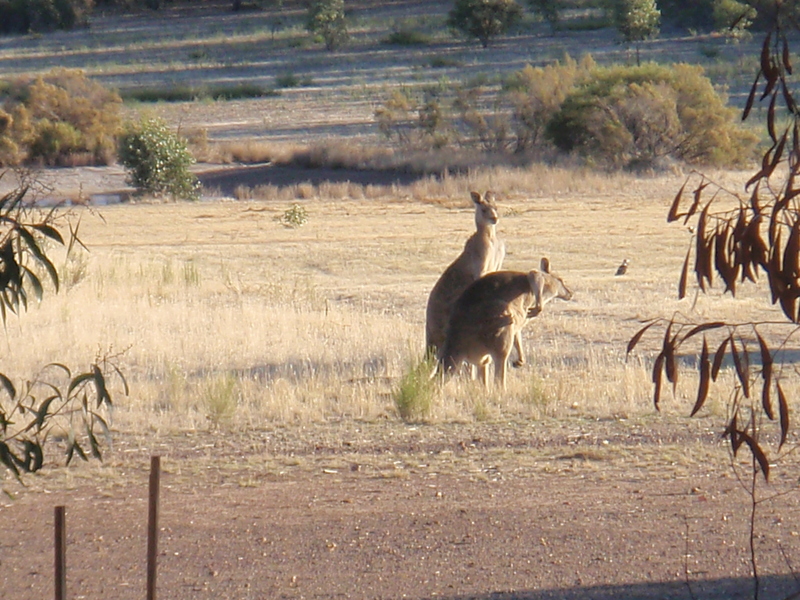 It will be interesting to see if the kangaroos and hares find rosemary palatable as well…. The Easter holiday was a hive of activity. Building, mowing, digging, planting trees and sage, not to mention watching the Lunar Eclipse on the Saturday evening. The skies were clear, just a little chilly, but bearable if rugged up well. The banana lounges were employed usefully and we were able to recline without getting a crick in the neck that one gets from star-gazing whilst sitting in a chair. Various photos of the eclipse were taken, but a better quality camera or lenses are required for future photos of the moon, stars and planets, but good enough to record the orbs that appeared! The aging tractor doesn’t fit into the large shed, so an extension or “tractor port” was planned a nd the wood delivered just before the Easter holidays. Tall enough to accommodate the tractor, long enough to fit the slasher it will have a skillion roof to add more rainwater to the dwindling levels of water in the big concrete water tank. Friends arrived to help out with the building and were duly fed lunch for their efforts. Another friend stayed on to help with the mowing. The same friend helped out with digging holes in the hard clay soil to plant out some oak tree saplings that I have grown from seed. They were settled into the soil with well aged compost from the toilets and securely staked and tree guards put around them. Time was taken out to visit the Easter Parade in Rushworth and there was lots to see, but it was good to get back to the relative quiet of the retreat. A walk around the boundary was a great opportunity to find some small treasures. A tiny nest that had blown out of a tree. Looking more closely, the enterprising birds (they could have been Pardalotes, Blue Wrens or Robins) had visited the main area and used threads from the Tibetan prayer flags that are placed around the communal fireplace. Back to the city…. and a friend asks when there will be more accommodation…… back to the start of the post….. patience! Slowly, like the oak trees that have gone in. They may not be of use in what’s left of my lifetime, but I planted them with the future in mind. On a recent visit to the retreat, I was enchanted with the spectre of a double rainbow over the labyrinth. It was at the end of a hot and humid day and just as the sun was getting ready to slip over the horizon, the clouds parted and there was a most amazing light dancing on the tree tops. A shower in the distance provided the catalyst for a most amazing rainbow. Did I manage to capture the image? Sadly no…. one of the rare occasions when I had neither camera or smartphone with me. Earlier in the day, I had shrugged off the lethargy and done a New Moon meditation and vision book page. The next step was to take the vision book into the labyrinth and meditate further on what had come to me. As I came out of the labyrinth, I was reminded of the benefit of journalling the experiences, many abridged versions appear here in this blog. I remembered a comment from a reader some time ago who suggested that I include video. With that in mind, I walked slowly back to the centre recording the journey, which I would share, except that it seems that the iphone video is not compatible with this platform. The act of mindfulness in walking slowly and holding the camera steadily made for a different experience. The focus was not on myself, but how could I best film the pathway so that viewers would not feel dizzy or sick and that they could really get a “feel” for the rustic nature of this labyrinth. It cannot be compared to the pictures of the labyrinths in North America and Europe that are either beautifully paved or have lush green turf…. This is country Victoria coming into summer.. the weeds and the grass have turned to straw brown, the soil is drying and cracking and the patches of gravel are rust red and need to be stepped on carefully. The mounded soil of the rings allows some long grass and other small hardy plants to grow, but there is no sign of life in the outer ring where the garlic was planted, except for 2 sage plants and a lavender plant that has just flowered. As each step is taken, there is a crunching sound… the dried up plants…. the opposite to the Northern Hemisphere which had record snowfalls on that same weekend. Prejudices, it is well known,are most difficult to eradicate from the heart whose soil has never been loosened or fertilized by education; they grow firm there, firm as weeds among stones. Another all too brief sojourn up at the retreat, with some more clearing of bushes, tending to the labyrinth and the beginnings of a walking track (fire break) around the perimeter. Clearing the Biddy Bush or Chinese Bush has just about been completed and the debris was pushed into a large pile in the damp area of the dam overflow to minimize the fire spreading. Whilst it was sad to see so many tiny Blue Wrens and other little bush birds displaced and homeless, the ongoing fire risk is too great to let the bushes stay. They kept busy collecting twigs from previously slashed bushes and rebuilt during the day. Just one small section of the debris was lit and within seconds, this inferno took off. Some 5 hours later – after burning red-hot, the pile was reduced to ashes, which will be added to a composting area. Eventually deemed safe to leave, we made periodic trips to check on it during the evening (& the Yabbie nets). On one of these trips, not only kangaroos were sighted in the headlights, but a large hare. This is the third time I’ve caught a glimpse of it! The evenings are spent thinking about building projects. Now the proud owner of a metal bath, which originally was sourced to have as an outdoor bath heated by a small fire under it, it will most probably reside (still outside) on a verandah to built at the front of the cottage. The first of the fruit trees has gone in – a lemon tree and although kangaroos and wallabies have inspected it, so far it seems to be off their menu. A passionfruit vine was gifted to me and it will possibly be installed as part of a green fence around the labyrinth. Other trees in pots are waiting to make the trip up to the retreat. There are half a dozen pomegranate trees – a result of planting out the spent seeds from a pomegranate feast 3 years ago. Quite small still, but hardy as they have been in a crowded spot, they should take off now they have been potted up. They should do quite well and I’m intending to hedge them in front of the labyrinth, which should also offer a little more privacy as people walk. There is also a 7 year old Avocado tree that has been on the deck for some time and is calling to have its roots set free and the half dozen or so Oak seedlings are progressing well. Just yesterday, a small almond tree was given to me and that will be planted out on the next trip. I wasn’t about to test the depth of the dam waters on a clear summer evening in the bush, but it was pleasant watching the sun go down over the horizon for the last time in 2013. Gradually the night sky darkened and unveiled the Southern Cross, the magnificence of the Milky Way and more… Our necks grew tired from leaning backwards in our chairs… satellites, shooting stars…. all glowing brightly in the night before the new moon and the new year. The only thing missing was the music from Pink Floyd’s Dark Side of the Moon…..
Leave but don’t leave me. Creating your own treasure map is possible…. When you map the resources you have and identify what you need, then you are better equipped to start your journey. Have recently completed a course to become a Professional Supervisor, I came across a great exercise in the textbook we had to read and have used it in some sessions I have already taken. You need a large sheet of paper and lots of coloured pens or textas. If you feel so inclined, you could also have on hand some old magazines, scissors and glue – to create a collage – very similar to vision boarding. In the centre, draw a representation of yourself – it can be a symbol or a picture but make it large enough so that you can draw or write symbols/diagrams or words that represent your INNER resources. If there is no room, that’s fine – just attach them to the original drawing. Next, think about all the things, people, events that support and sustain you, yet are external to you. Place them around the symbol/picture of yourself. are the links strong or weak? Do they lift you up or weigh you down? Use as much colour and texture as you feel necessary. Take completely different colour and draw symbols or pictures of things that BLOCK you, or are in the way to fulfilling your dreams. and these are what hold us back. Fear of not being good enough can lead to a fear of failure and yes, even fear of success. Strange but true! Many people have a fear of success, because they think that in being successful they may lose friends and therefore no longer “belong”. The object of identifying the fears and the resources both within and around us it to allow us to work on building new and stronger resources. We have a choice – we can “feel the fear and do it anyway” (as Susan Jeffers so succinctly put it in her book) or we can choose to feel the opposite…. appreciation. I wonder what feels better!! Going back to your resource map … what treasures have you discovered? What tools, people or things do you appreciate for having got you to where you are now? Is your inner compass set right to get you to your destiny? Well, you are the mapmaker in this case… so look to your inner resources and review them. Cast your eye over your external resources and blocks and decide what to keep and what to change. Dig deep enough in the centre and you will find gold. The frantic rush of shopping, with tempers flaring over lack of parking spaces and erratic driving as people’s minds are elsewhere. It seems that nearly every social event is awash with alcohol and this contributes to the scattered feeling. It’s an emotional time of year at the best of times, with the Summer Solstice and the busyness of winding up school and work projects, Christmas or end of year parties. The overload of food, laden in fat and sugar places stress on our physical bodies, whilst the overload of social events with the expectation of presents and gaiety overload our emotional bodies. The assault on our senses of tinsel and lights and constant caroling put further strain on sensitive souls. Family functions are fraught with dangers. Long suppressed slights and perceptions can erupt into nastiness after the throat has been well lubricated with alcohol. To be an interested and disassociated observer at these social functions takes a lot of effort, but can have its own reward in feeling a sense of peace, finding an oasis of calm in the maelström of emotion that swirls about. So how to go about surviving this time of year? Choose to simplify – everything. If buying presents has become a financial strain – set a price limit, organize a Kris Kringle with the family, suggesting that this way each person gets a quality present, and not something that ends up in that secret gift cupboard or drawer to be recycled to someone else. Alternatively, announce that you are buying each person a charity donation which will help someone less fortunate. E-cards are not the same as the paper ones, but a handy standby for the last minute seasons greetings. There are now online options where you can choose a card which are printed with your message and posted out when your order is completed. Pick and choose your events. If you are an empath (someone who picks up others emotional states), make a brief appearance and make your apologies as early as possible. 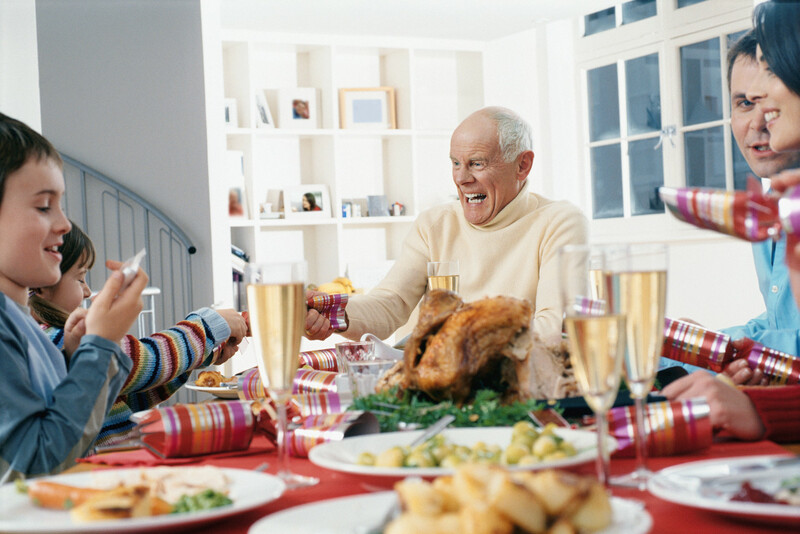 Difficult to do with family events, but at these if you can make yourself busy with serving food & clearing the tables, you will be able to extricate yourself from most emotionally laden conversations and observe. Choose the least rich foods and avoid heavy, fatty food or sugary concoctions which will stress your liver. The festive ham is loaded with nitrates as are most cured meats. 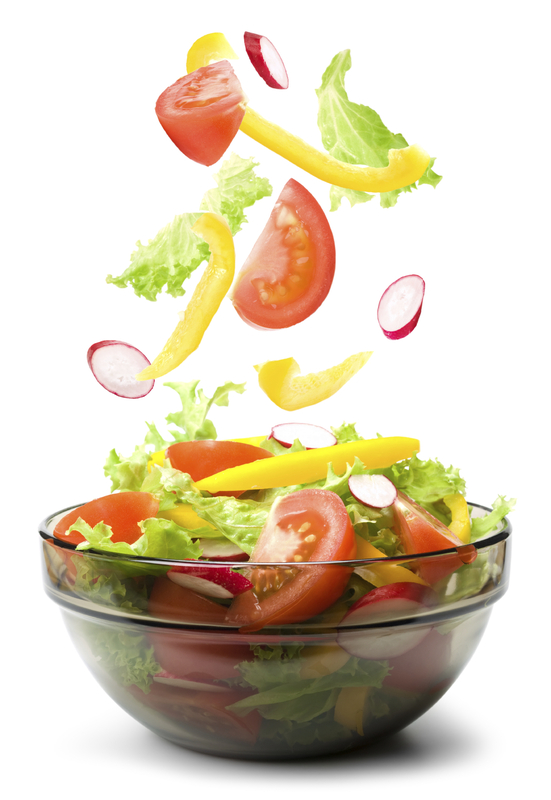 Avoid pasta, rice or potato salads if they have sat out for a while as they can cause stomach upsets. 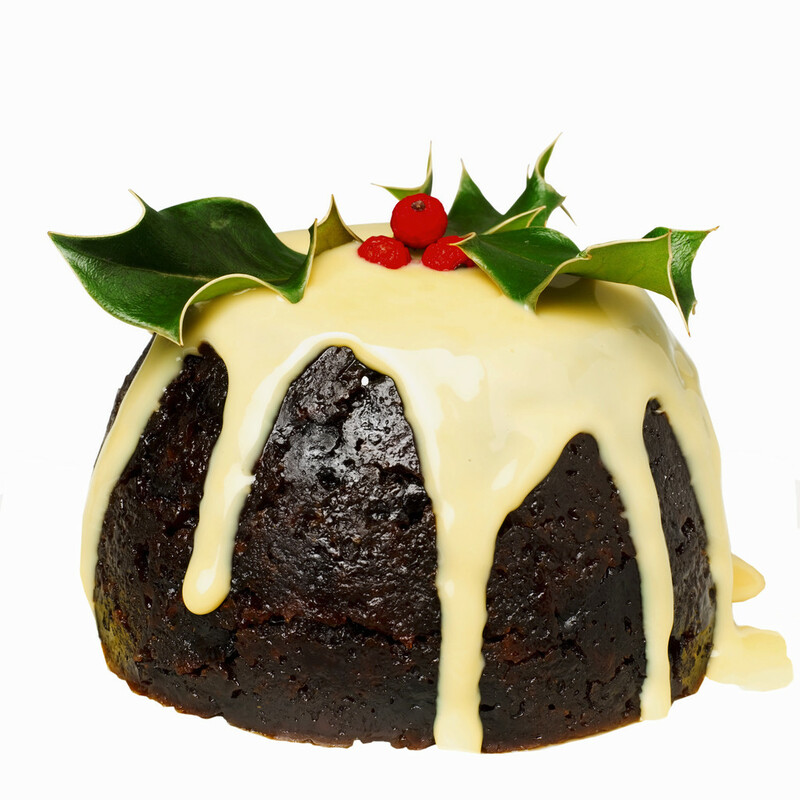 The festive puddings, such as Pavlovas, fruit mince tarts and shortbreads are laden with sugar & fats. Research shows that a diet high in sugar results in premature aging and for blokes, a high fat diet has a negative effect on your reproductive system. If the food is served as a buffet, you will have greater control over the food you put on your plate and the portion sizes. Being summer, there is a greater chance of a range of salads included in the meal, so head for those and enjoy the rewards of not feeling bloated. 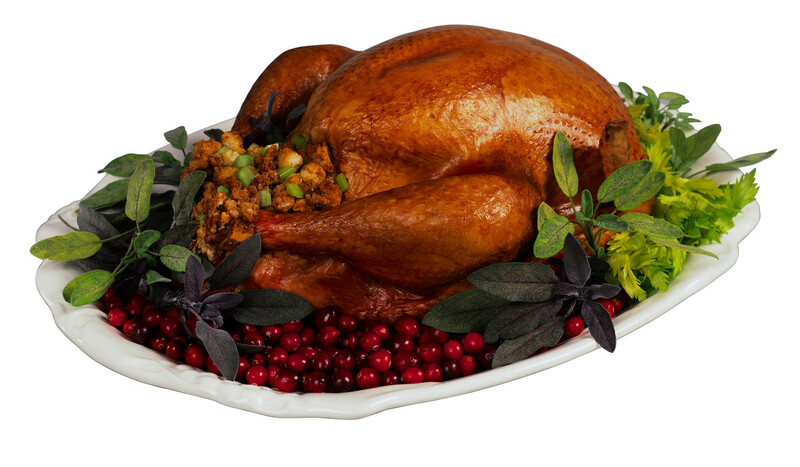 If your host insists on serving the meal, ask for a smaller sized portion for health reasons. Even a 5 or 10 minute walk or meditation will help out. Avoid the alcohol and/or the Valium to keep your head clear. Rather than react, observe the conversations and behaviours. Being aware of illnesses or conditions that family members have and looking up Louise Hay’s Heal Your Body, allows you to see them in a different perspective. For instance, the person with constant aches is probably longing for love or to be held or the one with tics or twitches is bound by fear and a feeling of being watched or judged by others. The elderly gentleman with prostate problems may have mental fears about his masculinity, sexual pressure or guilt or a belief in aging. The relative with the knee problems may be experiencing stubborn pride and ego and has an inability to bend and certainly won’t give in. They almost certainly will have a bit of fear with that inflexibility. Another relative with vertigo may be experiencing scattered thinking or a refusal to look at their lifestyle, whilst the child who constantly sulks in the corner may just be overwhelmed by the anxiety projected bythe adults who are unable to trust the flow and process of life. Yet another relative with chronic shoulder problems has lost the ability to experience life joyously. They are making life a burden for themselves. The family alcoholic is laden with guilt, inadequacies and self rejection and the overweight members of the family hide their anger at being denied emotional nourishment. Feel gratitude for something that the event or these people can bring to your life. Feel the grace and peace that comes with regular gratitude moments.